Here are the steps to reset the toner DR2200, follow the steps and if you have any other questions, type a comment. 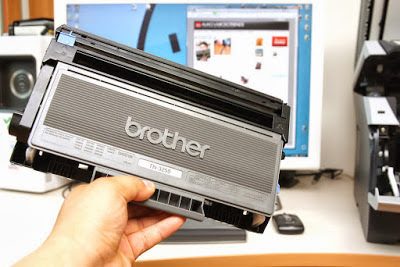 Brother HL2130 printer with the drum cartridge DR2200 when printed large amount of pages, block the ability to print. Presenting an error saying that we should change the cylinder or drum unit, although not very high cost of acquiring this product, you may continue printing without the need to spend a single penny. Below is a method that will help us restore the cylinder unit for Brother HL2130 printer, only enough to follow the steps below and have a unit like new pages printers, the quality will be that of a unit used. Importantly, this does not improve print quality, only the warning disappears from the printer and allow us to continue printing without problems, if you want to improve the print quality must make a cleaning unit or replace this with a new one. It really is a simple process that can help you save some money, if you need help to solve the problem only necessary to write a comment.